We are a leading Manufacturer of pinion gears from Nagpur, India. 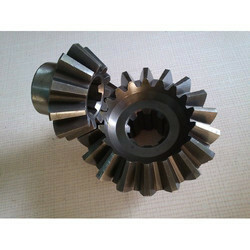 We are one of the prominent manufacturers and suppliers of Pinion Gears for Automobile Industry. Our offered gears are manufactured using the finest quality raw material and advanced technology in sync with industry norms. In addition to this, we ensure to make timely delivery of the ordered products at the clients’ end after checking their quality on certain well-defined parameters. Looking for Pinion Gears ?